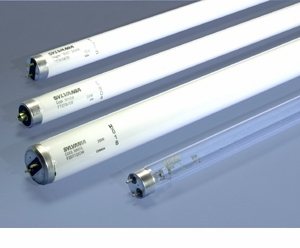 Case quantity is 30 bulbs Sylvania 20W T12 F20T12/D35 Fluorescent Light Bulb - Desciption: 20W, T12 preheat fluorescent lamp, Designer rare earth phosphor, 3500K color temperature, 70 CRI. Average Rated Life (hr) 9000, Base Medium Bipin, Bulb T12, Manufacture Sylvania. Sylvania 20W T12 F20T12/D35 Fluorescent Light Bulb - Desciption: 20W, T12 preheat fluorescent lamp, Designer rare earth phosphor, 3500K color temperature, 70 CRI. Average Rated Life (hr) 9000, Base Medium Bipin, Bulb T12, Manufacture Sylvania.